In 1916, when I enrolled at Public School 89 in Harlem as a third grader, the center of black life in New York City was 135th Street  not 125th Street, as it is now. Eighty years ago, 125th was mostly a Jewish area and had very few blacks. Just one block from my school, at 7th Avenue and 135th Street, was the Lafayette Theater. The Lafayette had not only motion pictures, but vaudeville shows too. It was white-owned and run, but all the performers were black. Sometimes it would have serious drama instead of musicals. In front of the Lafayette was a tree that was known by black entertainers all over the United States as the Tree of Hope. If they had long periods of unemployment, they would come by and kiss the tree and rub its bark, hoping they would get a break. And so many of them got jobs that the name stuck. Blacks were always trying to work the Palace Theater downtown. That was the lead vaudeville house in the whole nation. Any entertainer who played the Palace, black or white, had made it on the big time. Around the corner from the Lafayette was a motion picture house, the Lincoln Theater. I think once in a while it had stage acts. There were no talking pictures then, so during the movie, they always had somebody play the piano or organ. The Lincoln Theater is where Fats Waller first started the pipe organ on weekends, when he was 12 years of age. He was a few grades ahead of me, but he was there at the school, the same time I was going. Everybody followed him around, trying to get close to him. The kids worshiped him, because it was a heck of a thing to be playing at the Lincoln, at his age. I saw him at school a lot, and went to hear him at the theater. Whenever I talked with him, he was full of wisecracks. I guess he got his nickname in grammar school, because he was fat then. His given name was Thomas. Nobody picked a fight with him, because he was big enough to look out for himself. Like all the boys of that age, he wore knee pants  knickerbockers. He had a cap on his head. And he had frog eyes. I could always remember those bulging eyes. 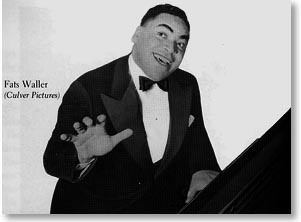 Fats Waller's father was a minister at the Abyssinian Baptist Church. His mother played piano; I think he got lessons at home from her. After I left New York, I lost track of him and didn't follow his career until years later, when I was living in California. Then the records started coming out. 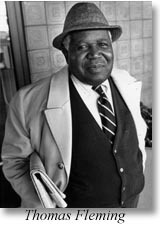 When I read his name in the Pittsburgh Courier and the other national black papers, I knew it was him. And when I saw his picture, he still looked just about the same. In the 1930s, he was still wisecracking, just like he did when he was a kid. Fats became one of the most popular entertainers of his time. He was well known all over the country because of the style of piano he played  very enthusiastic. He was also a composer and singer, and played jazz on the Wurlitzer organ. He might have been the first person to use the organ as a jazz instrument. He worked theaters and nightclubs both, and appeared in a few movies. He accompanied himself on all of his records; that's what made him so popular. Sometimes he did them as a soloist. Other times he'd have a saxophone, a trumpet and a rhythm section  a drum and bass. He cut a lot of records, and they were played everywhere. He was probably best known as a songwriter. 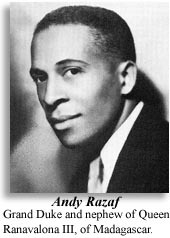 He composed the music, and usually collaborated with Andy Razaf, who wrote the lyrics. Razaf was a successful writer for the musical stage, who came from Africa. Fats wrote a flock of songs: "Honeysuckle Rose," "Ain't Misbehavin'," "Your Feet's Too Big," "'Tain't Nobody's Bizness If I Do." Those were tremendous hits. Other entertainers, black and white, played and recorded his numbers. They're being played yet. Fats didn't make money out of all the pieces he wrote, because he'd normally sell them as soon as he composed them, for $35 or so, and lose all of his rights. Fats was always short for money. He chased women a lot, and then he had a wife and a son at home. He lived high, all the time. He was a man of tremendous appetites, which I think included everything. In December 1943, I read in the paper that Fats had died. The news came over the wires and went around the world. He had been in Hollywood to make a picture, and was returning to Kansas City when he had a sudden heart attack, and that was it. He was 39 years old.